On 4th July, fascists are planning to march in Golders Green. Their reasons are bizarre and deluded, but they offer us a fascinating insight into the imaginations of white supremacists. At first, when they wanted to target Stamford Hill, they said they were opposing the “Jewification” of the area. More than a century too late for that, perhaps. And it´s probably too late to oppose Jews coming to England too since, after all, we first arrived in 1070, along with the Normans. Unless, of course, you want go back to a time when the English were still eating grass and thought the Sun revolved around the Earth. 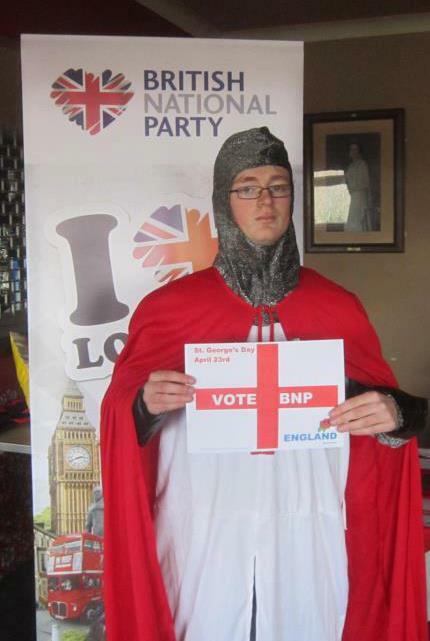 Which, judging by the cos-play of neo-Nazi, Kevin Layzell, is entirely possible. For this demonstration, they´ve abandoned their demand to return England to its pre-11th Century racial purity and decided to focus instead on “Jewish privilege”. In one capitalised, punctuation-free rant, you can read all about how Jews are plotting to kill whites, the Holocaust never happened, Jews control all the world´s governments and Black people are responsible for every problem in the education system. For a while, reading through these deeply thoughtful journals, I wondered if perhaps I´d missed something. Is there really a conspiracy going on and nobody remembered to invite me to the meetings? Is the Jewish gold hiding somewhere and we just forgot where we put it? Except, even if it were all true, if Jews are running the world, we´re pretty incompetent at it. We can´t even get a neo-Nazi march banned in London and our tribesman lost the last election pretty abysmally. Of course, this white supremacist worldview is so far from reality that nobody would take it seriously. It´s an imaginary world where everything´s inverted: since the time of the rise of Europe´s empires, white people have very much been in charge. White people definitely did commit genocide against Jews. The education system is failing Black children. Not the other way around. And yet. And yet, even though it´s ludicrous, the White Supremacist Imagination is still powerful. We live in a white supremacist world, and so many of these obviously fascistic views seep into seemingly inoccuous discussions. All of us live in this society where white supremacist ideals are the norm, so whenever we watch the news, or go on social media, or even just talk to people, we´re participating in a white supremacist world. So even seemingly liberal positions can come out soaked in white supremacist rhetoric. Take the circumcision debate. For those who were unaware, foreskins are actually a hot topic in some corners of the internet, and Tumblr´s echo chamber of idiocy has decided it´s tantamount to slicing off children´s limbs. No, really. To get a sense of how an online network of educated young people could arrive at such a conclusion, I think it´s worth taking a look at one of the cartoons circulating on the subject. Have you ever read something so racist, so misognynistic and so anti-Semitic that you actually marvelled at the creativity of the master-race? Well, now´s your chance. 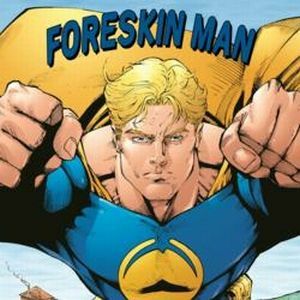 Presenting Foreskin Man. This delightful little web-comic details strong arguments against brit milah. It stars a helpless Black woman looking confused somewhere in a village in Africa. She lives in fear of a barbaric Black man with tribal tattoos who wants to cut her son, for tradition or something. The real villain is Monster Mohel. 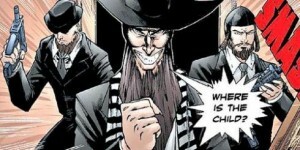 This shady Jew, draped in tallit, goes around looking for foreskins to cut for fun. Oh, and for food. Obviously. Only one man stands between these pathetic Africans and this blood-thirsty Jew. You´ve guessed it. It´s the white saviour. He´s an Aryan superhero who´s really muscly and goes round stopping the Jews and putting the Africans in their place. Now, I´m not saying all anti-circumcision activists believe in this kind of worldview. I´m just suggesting it. There may well be good arguments against circumcision. But we live on a continent where uncircumcised penises are treated as normal and healthy, while circumcised ones are seen as deviant aberrations. Like it or not, those who campaign for the abolition of circumcision are campaigning for a Christian country to tell Jews and Muslims what they can do with their bodies. They´re arguing for an idealised view of what a body should look like that doesn´t include Jewish and Muslim ones. As long as we live in a world where the white supremacism dominates, everyone opposed to circumcision is going to sound like Foreskin Man to me. Even on the issue of Palestine, I so often find myself feeling like I´m talking to white supremacists. The reasons that Jews support or don´t support Israel have everything to do with religious beliefs, ethical beliefs, traditions and analyses of history. They have absolutely nothing to do with somebody else´s idea of what a “good Jew” should be, and yet we´re forced to define ourselves in that way at every turn to suit the white supremacists in our midst. Let´s get the facts right. Israel is occupying Palestine. It has been gradually expanding since its foundation in 1948. There are now over 11 million Palestine refugees – the largest refugee population in the world. Palestinians endure daily humiliations of checkpoints, racist rallies and even struggling to rebuild the rubble of their homes in Gaza, knowing they´ll be bombed again next time Netenyahu has an election coming up. In Jewdas, we oppose racism everywhere and we are absolutely opposed to the racist occupation of Palestine. But can we talk for a moment about how people actually describe the issues? It seems from almost every side, we have to listen to discussions mediated through a disgusting white supremacist lens. To listen to some pro-Israel people, you´d imagine that Israel´s just geeky cosmopolitans sitting round drinking lattes in Tel Aviv while barbarian Arabs surround them, waiting for the chance to kill them for no reason, and all that´s needed is for some American or European to come in and sort the uncivilised out. Read any newspaper. That´s not far off what Stephen Fry said in the New Statesman today. Conversely, to listen to some pro-Palestine people, you´d imagine Gaza is a place only inhabited by helpless primitive children, beseiged by bloodthirsty Jews who carry out massacres out of spite, and all that´s really needed is for some American or European to come in and sort the uncivilised out. Listen to some of the people going off to volunteer in refugee camps or join the ISM. They really believe that they are that white saviour the world has been waiting for. I´m not trying to dismiss people´s righteous anger about the Middle East, or their sincere convictions about circumcision. I´m trying to show how, in every part of our lives, white supremacism affects how we relate to issues and how we relate to ourselves. We are getting ready to stop fascists coming to Golders Green on July 4th. It´s going to be awkward. 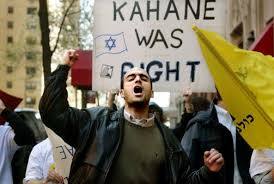 Jewdas will be uncomfortably marching alongside Kahanists waving Israeli flags for the sake of unity for one day. They´re no more happy about marching with us than we are with them. But as we get ready to defeat the small fascists, perhaps we can begin to consider how different things would be if we started defining ourselves on our own terms. Perhaps we can start to imagine a world without white supremacism. Well I been awaiting moderation my entire life so what’s new ? interesting article. A friend just invited me to this march, I checked it out and realised what it was and declined. At the end of the day we are all people with hope and aspirations like the next man and woman. We all hurt, and endure the sufferings the planet has to offer. Pleasures too, of course! If we all sot our heads around this, and stopped seeing ppeople as their colour, religion, etc, we would have a much more pleasant experience. Too easy I guess!